After starting his first full season with the Red Sox on the 10-Day injured list, Steve Pearce is back, as the club activated him from the IL prior to Thursday’s game against the Oakland Athletics. As the above tweet reads, to make room on Boston’s 25-man roster, first baseman Sam Travis was optioned to Triple-A Pawtucket Wednesday night. Pearce, 35, strained his left calf while running out a ground ball in the first inning of a Grapefruit League game against the Pittsburgh Pirates on March 17th. He was removed from that game seemingly as a precaution, but did not appear in any other big league games for the remainder of the spring. Now, after getting some work in at the minor-league level down in Fort Myers, the South Carolina native appears ready to make his 2019 debut. He re-joined the club in Oakland Wednesday. Given his .304/.400/.559 slash line to go along with five home runs and 20 RBI in 120 plate appearances against left-handers last season, it would not be surprising to see Pearce in the three-hole against southpaw Brett Anderson and the Athletics Thursday afternoon. In Pearce’s place, Sam Travis went 2/7 with two singles in two games played while making Boston’s Opening Day roster for the first time in his career. First pitch Thursday is scheduled for 3:37 PM EDT on NESN. After going the first two nights of April without a win or even a run scored, the Red Sox broke out in style in Oakland Wednesday night, putting an end to their four-game losing streak with a clutch 6-3 victory over the Athletics. Making his second start of the season and second consecutive start against an American League West foe in this one was Nathan Eovaldi, who entered Wednesday with three previous career starts at the Oakland Coliseum under his belt. Tossing five full innings, the right-hander was essentially in damage control all night, limiting the A’s to three runs on four hits, four walks, and one HBP to go along with three strikeouts on the evening. Similar to his last outing against the Mariners, Eovaldi was a bit erratic yet again, but he was able to keep the ball in the ballpark for the most part, yielding just one two-run home run to Athletics outfielder Ramon Laureano in the fourth inning. After giving up that homer to Laureano though, which made it a 3-0 game in favor of Oakland at the time, the 29-year-old settled in a bit by retiring the final six hitters he faced through the fifth. Finishing with a final pitch count of 96 (51 strikes) Eovaldi topped out at 98.8 MPH with his four-seam fastball, a pitch he turned to 35 times. His next start should come next Thursday against the Toronto Blue Jays. In relief of Eovaldi, the Red Sox bullpen turned in yet another solid performance, as Colten Brewer, Matt Barnes, and Ryan Brasier combined to hold the A’s scoreless over the final four frames of this one. Brewer, in his third appearance for Boston, fanned a pair over the sixth and parts of the seventh before making way for Matt Barnes with one out to get in the inning. Barnes, who we last saw close out the Red Sox’ first win of the season last Friday, punched out the only batter he faced in the seventh before stranding a runner at third in the eighth with the help of Brock Holt. Holt, filling in for Xander Bogaerts at shortstop, dazzled with a cross-body throw as his momentum was taking him towards third to get Laureano out at first. That kept Marcus Semien from scoring from third and thus kept this contest tied at three runs a piece headed into the ninth. It officially goes down as a 6-3 ground out, but it was really much more than that from Holt, who did not start at shortstop during the spring. After Boston jumped out to a three-run lead of their own in their half of the ninth, in came Ryan Brasier to shut the door on the A’s in the bottom half of the frame. Making his third appearance out of the bullpen this season, the 31-year-old hurler worked his way around a leadoff HBP to sit down the final three hitters of the night, notching his first career save in the process. On the other side of things, the Red Sox lineup was matched up against Athletics right-hander Marco Estrada to start things out. An old friend from his days with the Toronto Blue Jays, the seasoned Estrada held the Boston bats in check up until the fifth. With their scoreless-innings streak reaching 22, Blake Swihart broke the club’s offensive slump by launching his first home run of the season with two outs in the fifth. A 415 foot shot to center field to put his team on the board for the first time this month, that is quite a way to celebrate a 27th birthday. An inning later, a Mookie Betts leadoff walk would ultimately spell the end for Estrada, who was pulled after surrendering another free pass to JD Martinez to load the bases for Boston with just one out in the sixth. With A’s reliever Ryan Buchter now in, Mitch Moreland did not waste any time with a pitcher he had only faced off against once before Wednesday, as he squared up on a first pitch fastball and ripped a double down the right field line. That allowed Betts and Rafael Devers to score from second and third, and just like that, the Red Sox were back in it. Fast forward all the way to the ninth, with things still tied and another old friend in Fernando Rodney now on the mound for Oakland, Swihart came to the plate having already collected two hits. With just one out to work with, the Red Sox backstop singled on a ground ball to right, and Jackie Bradley Jr. followed that up by doing the same. A wild pitch from Rodney allowed the pair of runners to advance to second and third, meaning the go-ahead run was only 90 feet away from scoring. Mookie Betts, who was at the plate for that wild pitch, made the A’s pay for their mistake by turning a grounder that just so happened to deflect off the third base bag into a game-winning two-run double. If that ball was hit to Matt Chapman, the inning presumably ends without a Red Sox crossing the plate. Instead, the 2018 AL MVP came through big time, and Andrew Benintendi showed some signs of life by driving in Betts from second on an RBI triple to make it a 6-3 contest, which would go on to be the final score in this one. Happy belated 27th birthday to Blake Swihart! JD Martinez has started his second season in Boston with a seven-game hitting streak. He is 10/28 with two home runs and seven RBI to kick off the 2019 campaign. According to ESPN, the Red Sox bullpen has posted a 2.42 ERA over their first 26 innings of work. That is the fifth-best mark in all of baseball. Next up for the Red Sox, they’ll look to depart from the Bay Area with a series-split against the A’s in hand. It will be a pitching matchup featuring a pair of left-handers for the series finale, as Eduardo Rodriguez and Brett Anderson are slated to start for their respective sides. Rodriguez (0-1, 10.38 ERA), owns a 1.69 ERA in two career starts and 16 total innings of work at the Oakland Coliseum. Anderson (1-0, 0.00 ERA), meanwhile, owns a lifetime 3.48 ERA over 11 career starts against the Red Sox. First pitch Thursday is scheduled for 3:37 PM EDT on this getaway day. After hammering out the final details and agreements Sunday night, the Red Sox officially announced Monday that they had signed shortstop Xander Bogaerts to a six-year, $120 million contract extension through the 2025 season. The club tweeted the following to make it official. 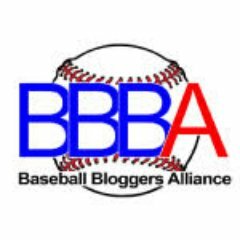 Bogaerts, 26, will in fact still earn the $12 million he is due in 2019 before the new contract goes into effect beginning next year. According to the Boston Globe’s Alex Speier, the six-year pact includes two key components, with the first being an opt-out after the 2022 season, and the second being a $20 million vesting option for 2026, as long as Bogaerts compiles at least 535 plate appearances and is healthy at the end of the 2025 campaign. Originally set to become a free agent this winter, the Aruba native will look to provide the Red Sox with solid offensive and defensive production for the forseeable future. Four games into his sixth full season with the club, the two-time World Series champion and one-time American League All-Star is 3/16 with one double, one home run, and one RBI. As things stand right now, the $20 million average annual value of Bogaerts’ new deal would make him the highest paid shortstop in all of baseball in 2020. A press conference regarding Bogaerts’ extension with the Red Sox is scheduled for later Monday out in Oakland. It’s Going to Be a #RedSox-Yankees ALDS. For the first time since 2004, yes 2004, the Red Sox and Yankees will be meeting up in the postseason. That’s right, the 100-62 New York Yankees ran away with a 7-2 victory over the 97-65 Oakland Athletics in Wednesday night’s American League Wild Card game at Yankee Stadium. Yankees ace Luis Severino got the starting nod for the second consecutive year in this single elimination contest in his home ballpark, and he proved the haters and doubters wrong by tossing four-plus innings of quality, scoreless work to go along with seven strikeouts. In relief of Severino, the Yankees bullpen held up their end of the bargain as well by allowing just two runs, both of which came on a Khris Davis two-run home run in the eighth, over the final five frames of this one. Dellin Betances and David Robertson worked up until the middle of the seventh inning, when Zach Britton, making his first postseason appearance with New York, served up that opposite field shot to the league leader in home runs in Davis. And in the ninth, looking to close this thing out, the flame throwing Aroldis Chapman came in for his 25th career postseason appearance, and he held the A’s in check to lock down the Wild Card win. So, there you have it. It’s not for a trip to the World Series, but we are set for the first Yankees-Red Sox postseason series in nearly 14 years this coming Friday. As you may recall, these two clubs just played each other to close out the regular season at Fenway Park, where New York took two out of three from the Red Sox to reach 100 wins on the year. On the year as a whole though, the Red Sox took 10 of 19 from the Yankees during the season series, with plenty of blowouts to go around during those games. Chris Sale is expected to start game one of the best-of-five division series on Friday at Fenway Park. David Price should get the nod for the second game on Saturday. First pitch of those two contests are scheduled for 7:32 PM ET and 8:15 PM ET respectively. Author Brendan CampbellPosted on October 3, 2018 Categories Baseball, Sports, UncategorizedTags athletics, Baseball, boston, chris sale, ja happ, liam hendriks, luis severino, mlb, new york, oakland, red sox, yankeesLeave a comment on It’s Going to Be a #RedSox-Yankees ALDS. RECAP: JD Martinez and Xander Bogaerts Both Go Yard as #RedSox Salvage Series Against Oakland with a 6-4 Win. Entering last night 12-1 in series finales this season, the Red Sox made sure to keep that trend going against the Oakland Athletics on Wednesday, the team responsible for that one loss. Chris Sale made his tenth start of the season in this one, and he picked up his fourth win. Although I would not say the lefty was at his best last night, he did hold the A’s to just two runs in five innings pitched. In that stretch, Sale scattered two hits and four walks while striking out nine. That first hit he gave up to came against the very first batter he faced in Marcus Semien, and the second hit just so happened to be a two-run home run off the bat of Semien well, which came in Sale’s fifth and final inning of work. Other than that blunder, the Florida native held the Athletics in check. The four walks, a season high, were a bit of a surprise, and that caused Sale’s pitch count to be higher than normal. In defense of the 29-year-old, conditions at Fenway Park were not ideal for a starting pitcher on Wednesday. Temperatures in the low 50’s, some light rain throughout the game, maybe that had an effect on the lefty, I don’t know. Anyway, with his pitch count already at 102 (60 strikes) through five innings of work, Sale’s night would come to an end. To start out the sixth, Matt Barnes got the first call out of the Red Sox bullpen. He tossed a scorless frame while giving up one hit and recording two strikeouts. Next up for the seventh inning was Heath Hembree. Unfortunately, the righty’s scoreless appearance streak came to an end at two games, as he surrendered a home run to the first batter he faced in Matt Joyce. It looked like Mookie Betts may have injured his right ankle while trying to rob the solo shot from going over the right field wall, but he was able to stay in the game until the end. Once Hembree ended things in the seventh, Joe Kelly got the call for the eighth inning for his 19th appearance of the season. The flame throwing Kelly walked Jed Lowrie on six pitches to kick off the inning, but ended up facing the minimum as he got Matt Chapman to ground into a 6-4-3 double play to retire the side and make way for Craig Kimbrel. With a three run lead to work with entering the top half of the ninth, the pressure was off Kimbrel, and I think he showed it in the beginning. After giving up a solo home run to Matt Olson to lead off the inning, the Red Sox closer settled down and retired the next three batters he faced on 13 pitches. Although his ERA rose a little bit, Kimbrel was good enough to notch his 12th save of the season last night, still good for second in the American League behind only Edwin Diaz of the Seattle Mariners. On the other side of things, the Red Sox lineup got things started against A’s starter Trevor Cahill in the first inning last night. Two straight singles from Mookie Betts and Andrew Benintendi created an ideal RBI situation for Hanley Ramirez. With runners on first and third, Ramirez scored Betts on a ground out to first base. The very next batter, JD Martinez, put his team up by a couple more runs with his 12th long ball of the season. That 422 foot shot was good for two, and it was the last run the Red Sox would score until the sixth. Fast forward to that point in the game, with no outs and runners on first and second for Xander Bogaerts. Facing off against A’s righty reliever Ryan Dull, Bogaerts concluded the Red Sox scoring on the night by punishing a 82 MPH slider and sending it 411 feet over the Green Monster, putting the his team up by four at that time. Gotta love the way he pimps his home runs when he knows they are no doubters. With that three-run bomb, the Red Sox short stop now has five on the season. Those three runs off the bat of Bogaerts pretty much put this game away for the Red Sox, as they went on to pick up their AL East leading 29th win of the season. Despite that fact, they still trail the Yankees, who have not played in a full game since Sunday, in the standings. In the first game since it was reported that Blake Swihart’s agent wanted his client to be traded, Swihart did not play at all. With a two-hit performance last night, Andrew Benintendi has extended his hitting streak to nine games now. According to Alex Cora, Mookie Betts’ right foot got stuck under the padding on the wall in right field, but, “he’s good.” That’s certainly good news. Next up for the Red Sox is a make-up game rescheduled from Patriots Day against the Baltimore Orioles tonight. That will be followed up by a three-game weekend series against…the Baltimore Orioles. So, I don’t think it technically counts as a four-game set, but David Price will be getting the ball in the “opener” later tonight. He will be matched up against O’s righty Kevin Gausman. Two SEC Baseball alumnus going at it, first pitch of the make-up game is scheduled for 7:10 PM ET. Author Brendan CampbellPosted on May 17, 2018 Categories Baseball, Sports, UncategorizedTags athletics, Baseball, boston, chris sale, jd martinez, mlb, mookie betts, oakland, red sox, trevor cahill, xander bogaertsLeave a comment on RECAP: JD Martinez and Xander Bogaerts Both Go Yard as #RedSox Salvage Series Against Oakland with a 6-4 Win. RECAP: #RedSox Fall Behind Early, Nearly Complete Comeback in 5-3 Loss to Athletics. It took some time, but the Red Sox lost to the Oakland Athletics for the fourth straight time last night. After a rain delay that lasted approximately one hour and 40 minutes, the Red Sox found themselves behind early once again. Eduardo Rodriguez got the start in this one, marking his eighth of the season. For the second time in a row, the lefty only lasted five innings on the mound, and despite not being as effective as he was last Wednesday in New York, he did a solid job of avoiding any major damage. In five full innings pitched, the native of Venezuela surrendered three runs on six hits, including a home run, to go along with no walks and four strikeouts. All three of those runs were scored over the first two innings, as Matt Chapman drove in a pair on a double in the first, and Stephen Piscotty mashed a solo home run over the Green Monster in the second. For Piscotty, this home run is sure to be memorable. It’s his first one since he was activated from the bereavement list on Tuesday, as his mother passed away from ALS last week. Regardless of the result, it was a very cool moment to witness live. Moving on, with his pitch count all the way up to 93 (53 strikes) through just five innings of work, Eduardo Rodriguez’s night would come to an end. He’ll look to build on this so-so performance next time out against the Baltimore Orioles this Sunday. Rodriguez’s departure would make way for the return of Steven Wright in the seventh inning. Making his first big league appearance since April 29th of last season, I was curious to see how the knuckeballer would perform in his new role out of the Red Sox bullpen. In his first two innings of work, Wright certainly was not all that effective, but he held the Athletics scoreless over that stretch. He came back out to start the eighth inning as well, but that was probably a mistake. After getting the leadoff man Jed Lowrie to ground out, Wright gave up two consecutive singles to put runners on first and second with just one out. That would be all for the California native, as he would later be charged with two earned runs when the base runners he was responsible for scored on a Mark Canha double. Once Wirght departed, it was up to Bobby Poyner to get out of the eighth inning jam. Like Wright, Poyner had just been recalled from Triple A Pawtucket. As I just mentioned though, the lefty gave up a two-run double to the second batter he faced in Mark Canha, and that pretty much put this game out of reach. Looking to keep it a one run game an inning later, Brian Johnson got the call for the ninth for the second straight win. Once again, Johnson did his job effectively. He held the A’s scoreless while tossing his second straight perfect inning in as many nights. So, even with some newer additions from within, the Red Sox bullpen should still be an area of concern. Isn’t that right, Mr. Dombrowski? Dombrowski said the bullpen is not an area of concern. Anyway, on the other side of things, The Red Sox lineup was held to just three runs last night. Similar to how he performed against them in Oakland, A’s starter Daniel Mengden pitched well against the Red Sox for the second time this season. He held them to just to runs, one of which was earned, over six innings pitched. The Athletics bullpen followed suit by tossing three innings of one run ball. Trailing 3-0 essentially from the get go, the Red Sox had a chance to tack on a run in their half of the first. Unfortunately for them, a base running gaff from Andrew Benintendi as he was unwisely rounding third base cost them that chance. Fast forward to the fourth, Mitch Moreland plated the first run of the game for the Red Sox on an RBI ground out that scored JD Martinez from third. This would not have been possible if, when Martinez led the inning off, Matt Chapman did not commit an error while making an errant throw to first base from third. Since the ball ended up out of play, Martinez was awarded second base, and he would eventually score in the inning. An inning later, Andrew Benintendi redeemed himself from that base running blunder he made earlier by mashing his third home run of the season into the bleachers in right field. That 437 foot bomb pulled the Red Sox within one run before the A’s pulled away in the eighth. Later in the ninth, down to their last three outs, it looked like a late night rally was about to be staged. Rafael Devers led things off by reaching first on a strikeout. Pinch hitting for Christian Vazquez, Brock Holt followed that up by ripping a double to left field to put runners on second and third with no outs. With the top of the lineup now at the plate, I was thinking walk off. Instead, Mookie Betts, Andrew Benintendi, and Hanley Ramirez were retired in order. Devers did cross the plate to make it a two run game, but that would be all the Red Sox could muster in the final frame. On the bright side of things, Andrew Benintendi is in the midst of an eight game hitting streak. Over that stretch, the Red Sox outfielder is slashing .308/.372/.538 with two home runs and six RBIs. Having dropped their last two games, Chris Sale will have the opportunity to be the stopper later tonight. He’ll be matched up against A’s righty Trevor Cahill in the series finale. First pitch is scheduled for 7:10 PM ET. Happy Sale Day. 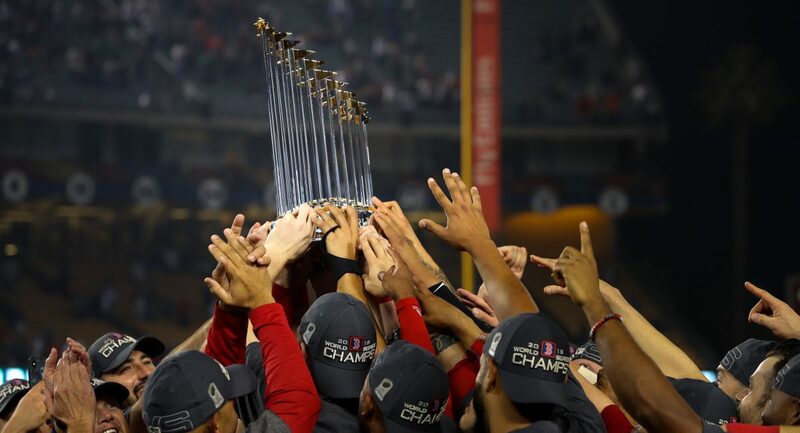 Author Brendan CampbellPosted on May 16, 2018 Categories Baseball, Sports, UncategorizedTags andrew benintendi, athletics, Baseball, bobby poyner, boston, daniel mengden, eduardo rodriguez, jd martinez, matt chapman, mlb, oakland, red sox, stephen piscotty, steven wrightLeave a comment on RECAP: #RedSox Fall Behind Early, Nearly Complete Comeback in 5-3 Loss to Athletics. RECAP: #RedSox Don’t Get No-Hit by Sean Manaea, Still Lose to Athletics by One Run. These Oakland Athletics, man. 20-21 on the season, 3-1 against the Red Sox. That’s frustrating, even more so after the Red Sox lost by one run to them last night. I guess one early positive to take away from the series opener was that A’s starter Sean Manaea did not throw another-no hitter. Rick Porcello got the start for the Red Sox in this one, and for the second start in a row, the righty certainly did not have his best performance. In his last start in New York, Porcello surrendered five runs on eight hits and three walks in 5.1 innings pitched. Last night against the Athletics, he surrendered another five runs, this time on nine hits and zero walks in six innings pitched. Things started to go awry for the New Jersey native in the third inning, when Matt Joyce took him deep to right field for the A’s first run of the game. An inning later, the opposition knocked Porcello around for another three runs on four hits. In his final frame of work, Matt Olson took Porcello deep to center to put his team up by two. Last night marked the first time this season in which the 29 year-old has given up more than home run in a start. In the four starts he’s made since April 24th, Porcello owns a 5.02 ERA and a 1.24 WHIP in 25 innings pitched. On the bright side, at least he’s going fairly deep into his starts, as none of the four previous outings mentioned have been shorter than five innings for Porcello. With a pitch count of 108 (69 strikes) through six innings, Porcello’s night would come to a disappointing end. He’ll look to rebound next time out when he goes up against the Baltimore Orioles. In relief of Porcello, Heath Hembree got the first call out of the Red Sox bullpen to start off the seventh inning. For the second day in a row, Hembree somewhat impressed, as he held the Athletics scoreless while holding them to one hit. An inning later, after Rafael Devers had just momentarily pulled the Red Sox within one run, Carson Smith, who had been looking better as of late, served up a solo homer to the first person he saw in Khris Davis. He went on to retire the next three batters he faced, but that home run would prove to be crucial for the A’s given what transpired half an inning later. After JD Martinez had just made it a one run game once again, Brian Johnson would be responsible for holding the Athletics scoreless. Last time we saw Johnson out of the ‘pen, he gave up a game-winning home run to Luke Maile in Toronto. With that in mind, I’m happy to say that Johnson did not allow last night’s game to get further away from the Red Sox than it already was. The lefty did his job by tossing a perfect ninth, giving his team one last chance in the bottom half of the inning. On the other side of things, A’s starter Sean Manaea was certainly not as sharp as he was last time the Red Sox saw him in Oakland. After going hitless in the first inning, a JD Martinez single in the second finally gave the Red Sox a hit off the lefty this season. With the monkey off their back, three straight singles from the top of the Red Sox lineup in the third inning put the Red Sox on the board. Hanley Ramirez gave them the lead for a brief moment, as he ripped a single to right field to score Andrew Benintendi from second after he had driven in Mookie Betts on a single of his own. Things were looking up for the Red Sox at this point, but that would not be the case half an inning later, and they would be clawing to get back in this game for the rest of the night. Fast forward to the fifth, Hanley Ramirez was at it again, as he plated the third run of the game for the Red Sox on a fielder’s choice that scored Sandy Leon from third. That cut the A’s lead to only one run, but once again, that wouldn’t last long. Two innings later and the Red Sox trailing by two, Rafael Devers cut the deficit in half on his seventh long ball of the season. That 373 foot shot over the Monster, followed by Sandy Leon reaching on a fielding error, put an end to Sean Manaea’s night, and made way for a mediocre Athletics bullpen. Unfortunately, the top of the lineup could not capitalize on that error, as Yusmeiro Petit ended the inning on nine pitches. In the eighth, now trailing by two runs again, it would be JD Martinez who cut the deficit in half this time with his 11th homer of the season. VIDEO: Offseason acquisitions don't get much better than this do they? That would be the lone hit of the bottom of the eighth though, and after a scoreless top half of ninth from Brian Johnson, it would be up the 8, 9, and 1 hitters to either tie this thing up or send it into extras. Facing off against Athletics closer Blake Treinen, Rafael Devers led the inning off by grounding out to first base. After Mitch Moreland came on as a pinch hitter for Sandy Leon, he flew out to left for the second out. Down to just Mookie Betts now, I was somewhat expecting a lengthy, dramatic at bat. Instead, Betts grounded out to short on the second pitch he saw from Treinen, thus ending a very frustrating game and ending the Red Sox winning streak at two. Mookie Betts, JD Martinez, and Sandy Leon were the only Red Sox hitters to reach base more than once last night. There was only one walk drawn between the two sides in this game. With his eighth steal of the season last night, Mookie Betts is now in a three-way tie between himself, Mike Trout, and Kevin Pillar for fourth most swiped bags in the American League. Rick Porcello was dealt his first loss of the season in his ninth start (5-1). Since starting the season 17-2, the Red Sox are 11-11 over their last 22 games. Next up for the Red Sox is the middle game of this series later tonight. It will be Daniel Mengden on the mound for the A’s, while Eduardo Rodriguez, coming off maybe his best start of the season last time out in New York, will be taking the mound for Boston. First pitch is scheduled for 7:10 PM ET. Author Brendan CampbellPosted on May 15, 2018 Categories Baseball, Sports, UncategorizedTags athletics, Baseball, boston, carson smith, jd martinez, khris davis, mlb, mookie betts, oakland, rafael devers, red sox, rick porcelloLeave a comment on RECAP: #RedSox Don’t Get No-Hit by Sean Manaea, Still Lose to Athletics by One Run.